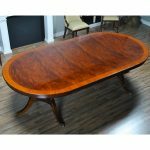 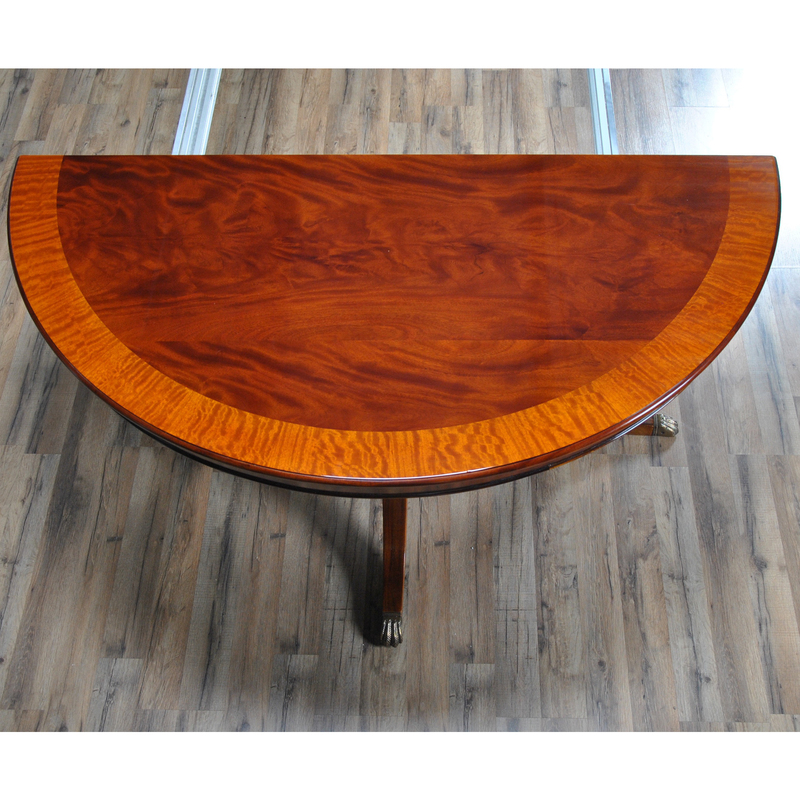 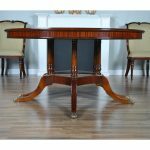 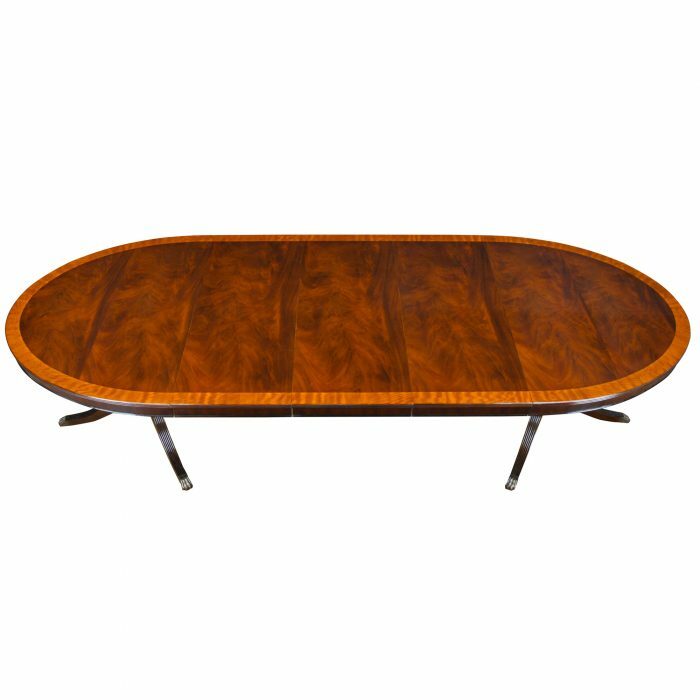 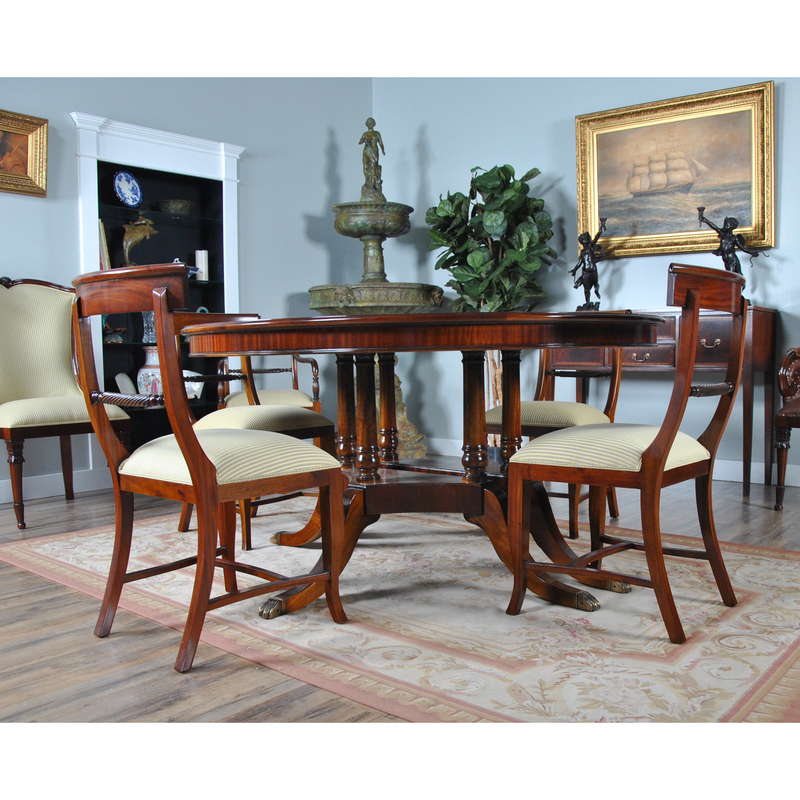 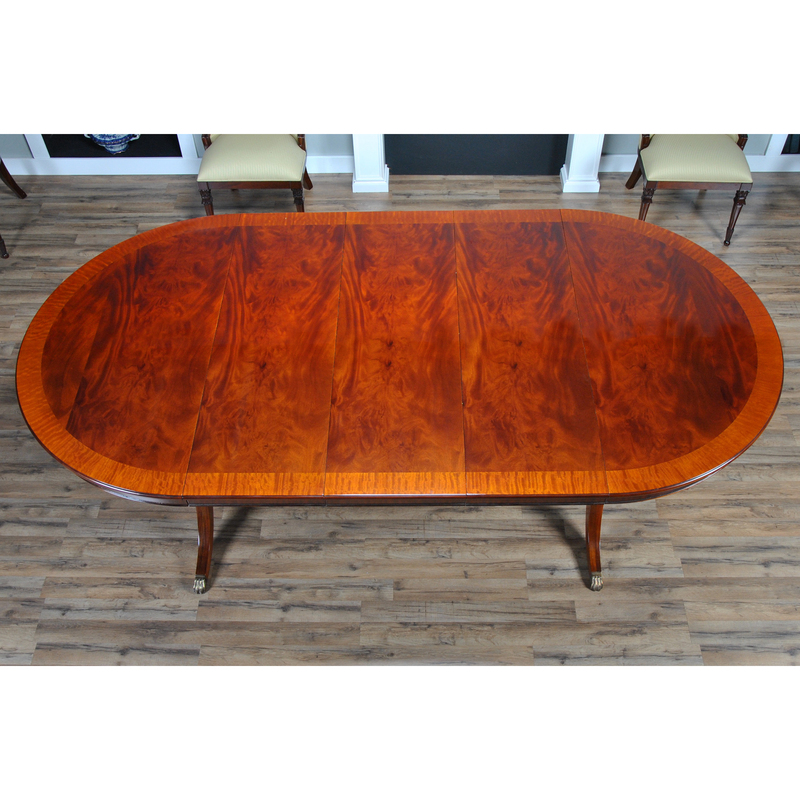 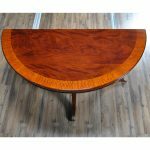 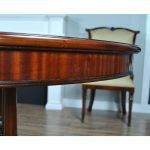 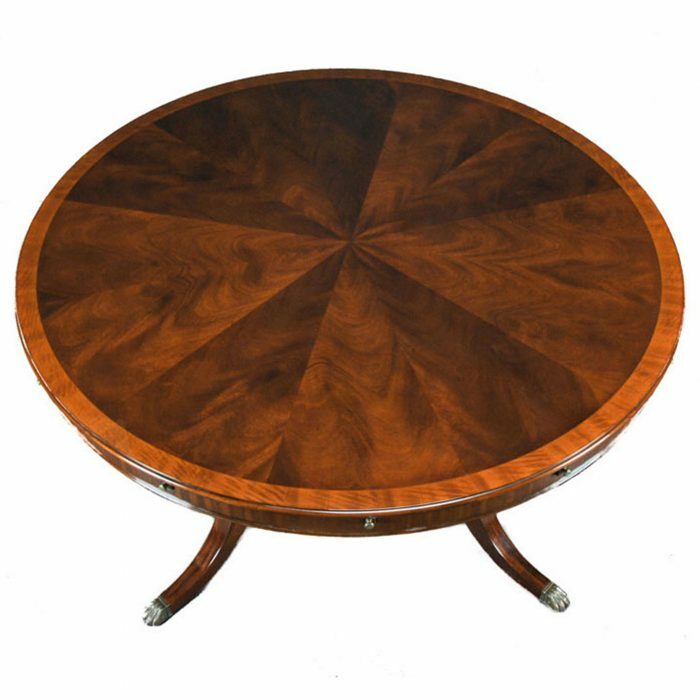 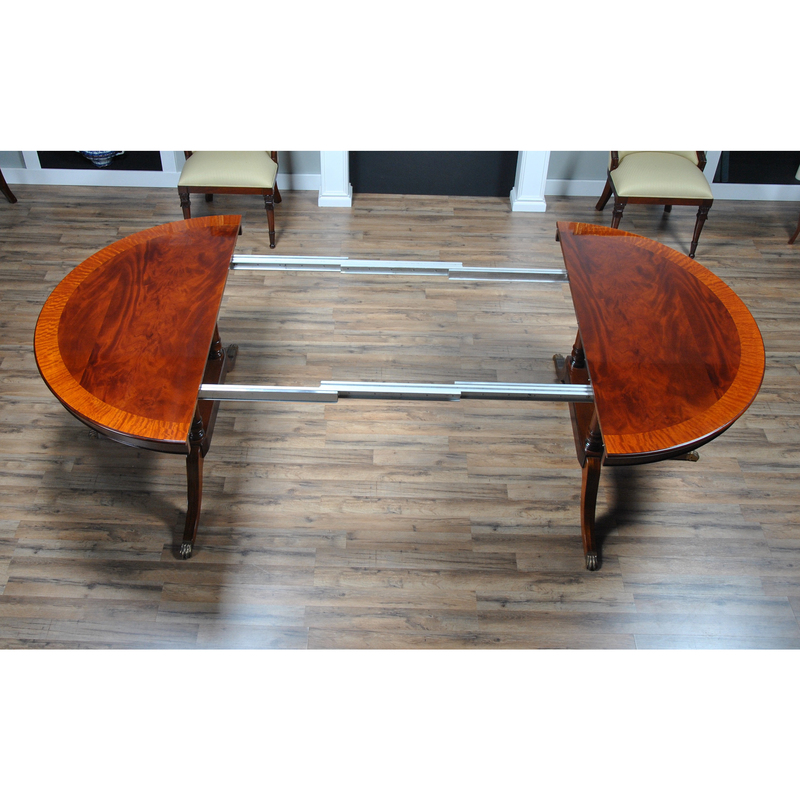 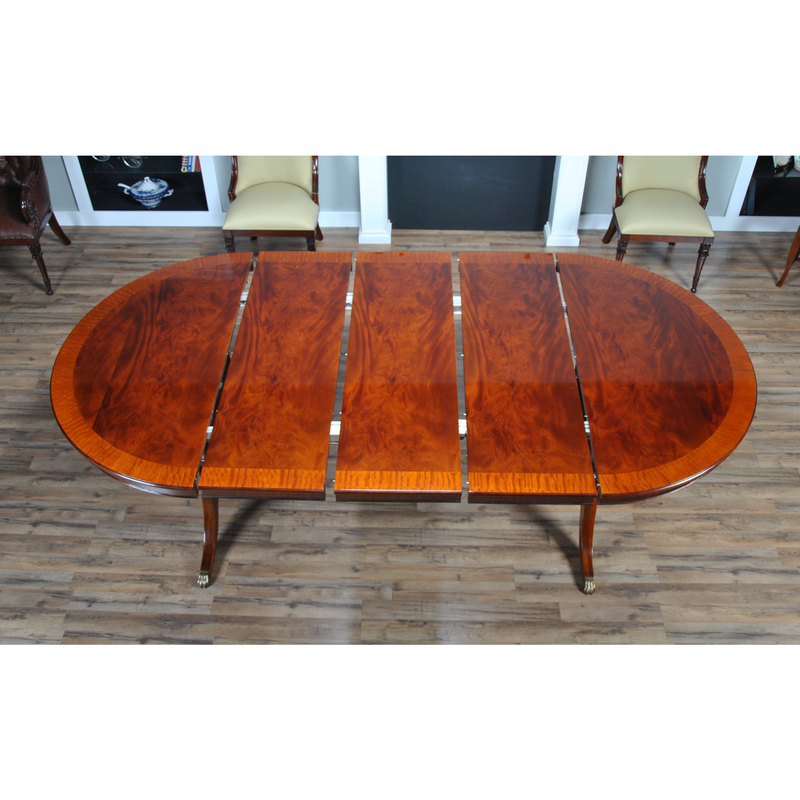 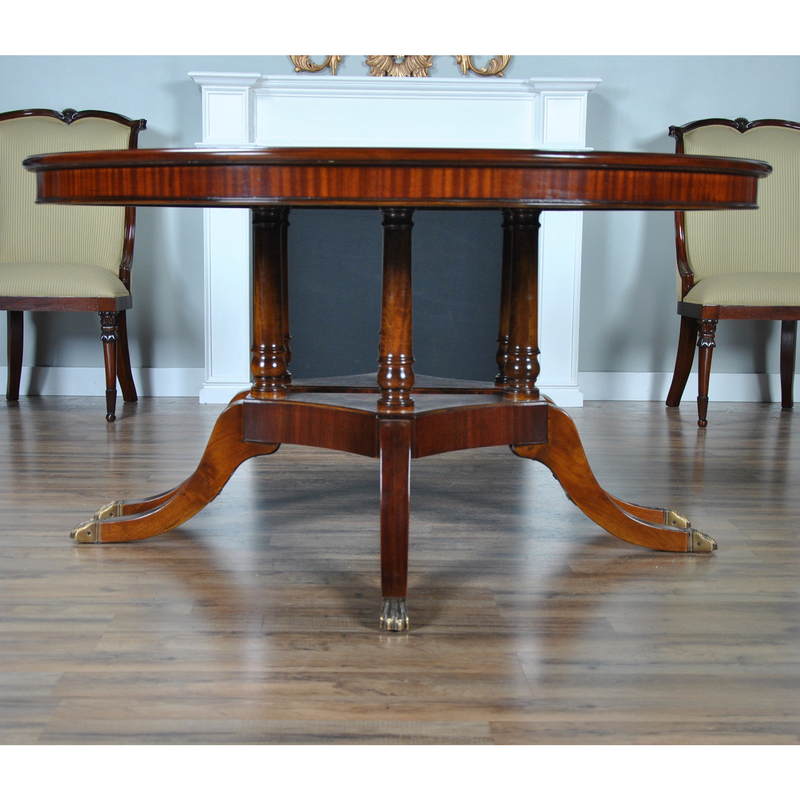 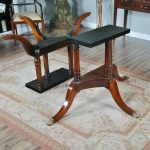 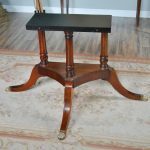 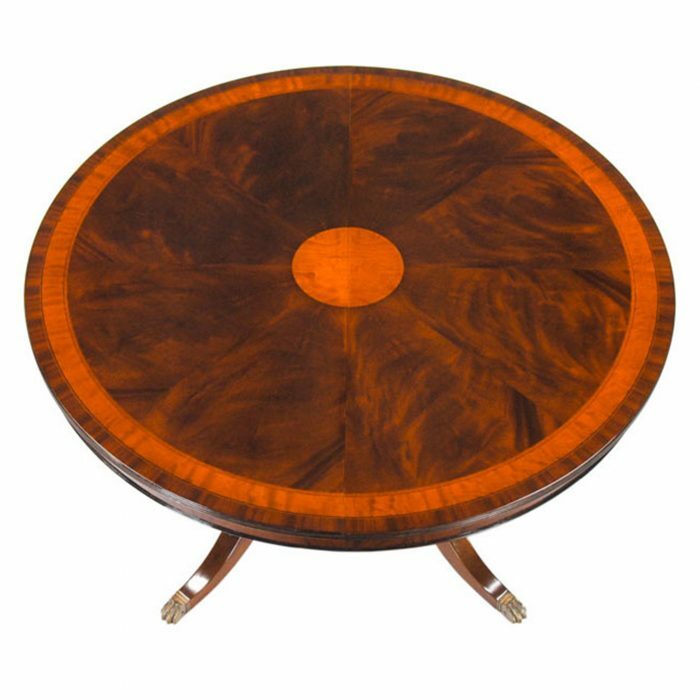 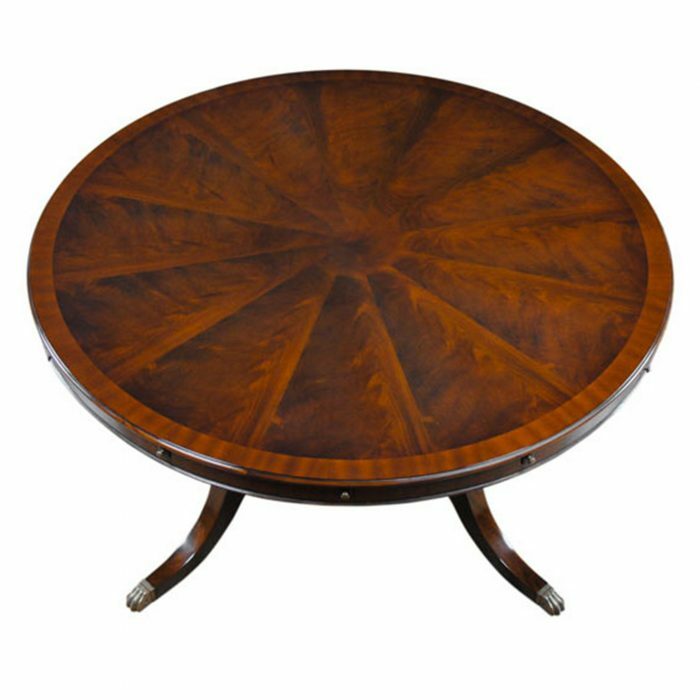 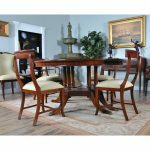 The Niagara Furniture Round Dining Table 60-115 inch. 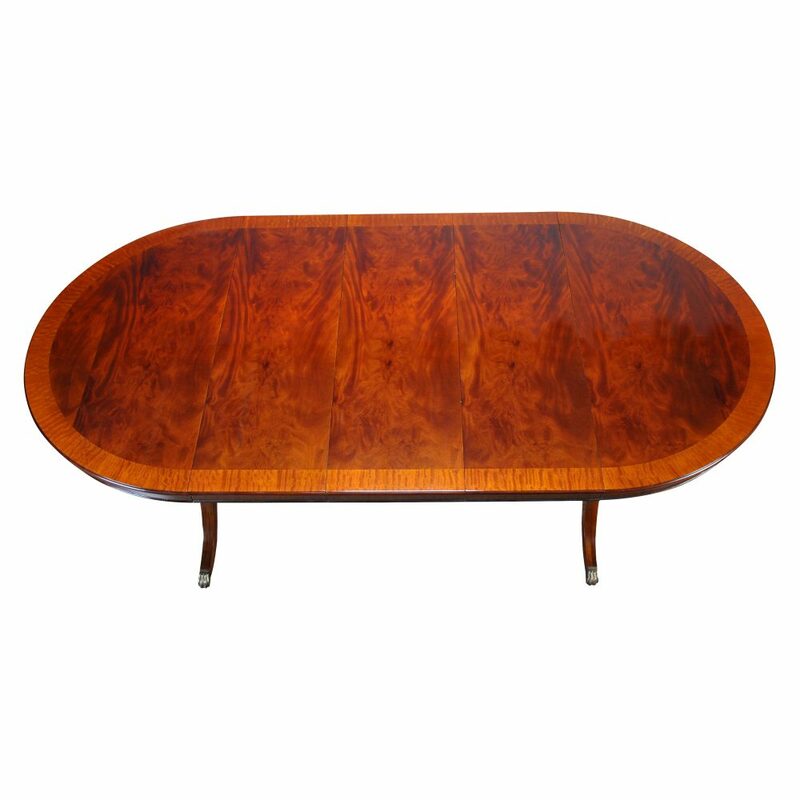 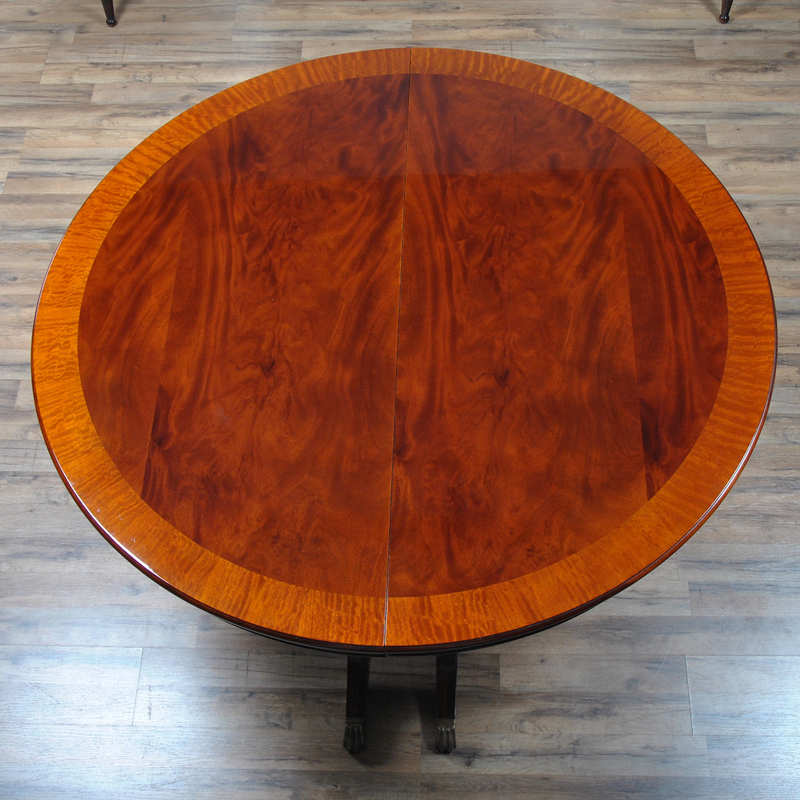 A high quality 60 inch round table when closed. 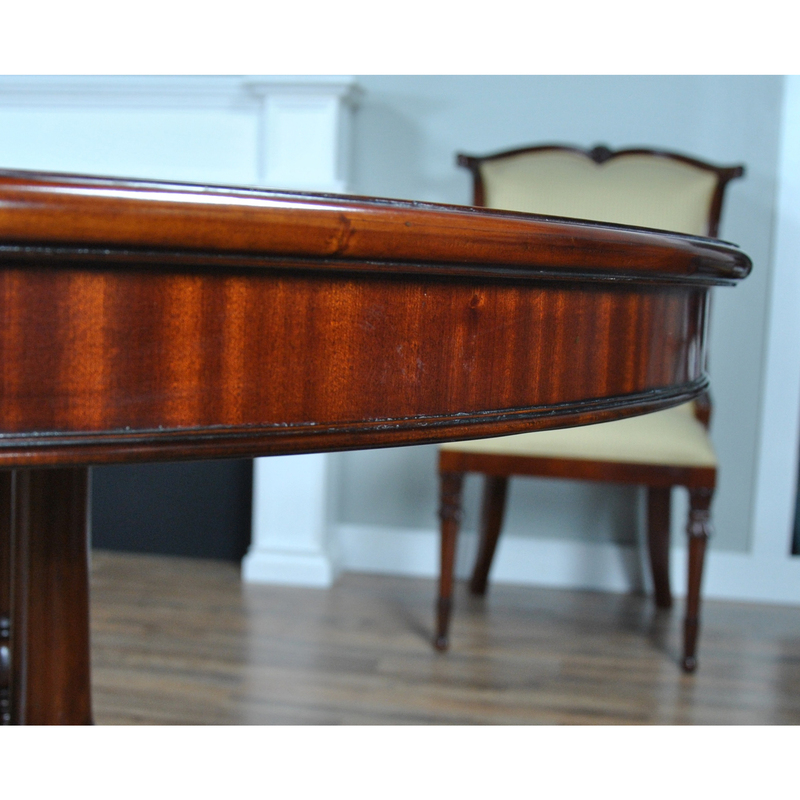 The field of the table top being produced from the finest figural mahogany veneers and surrounded by satinwood banding and edged with a bull nose shaped molding. Three leaves can be inserted to extend the table to a maximum length of 115 inches. 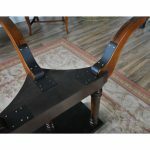 The leaves are held in place with solid metal fasteners and the table opens using metal rails. 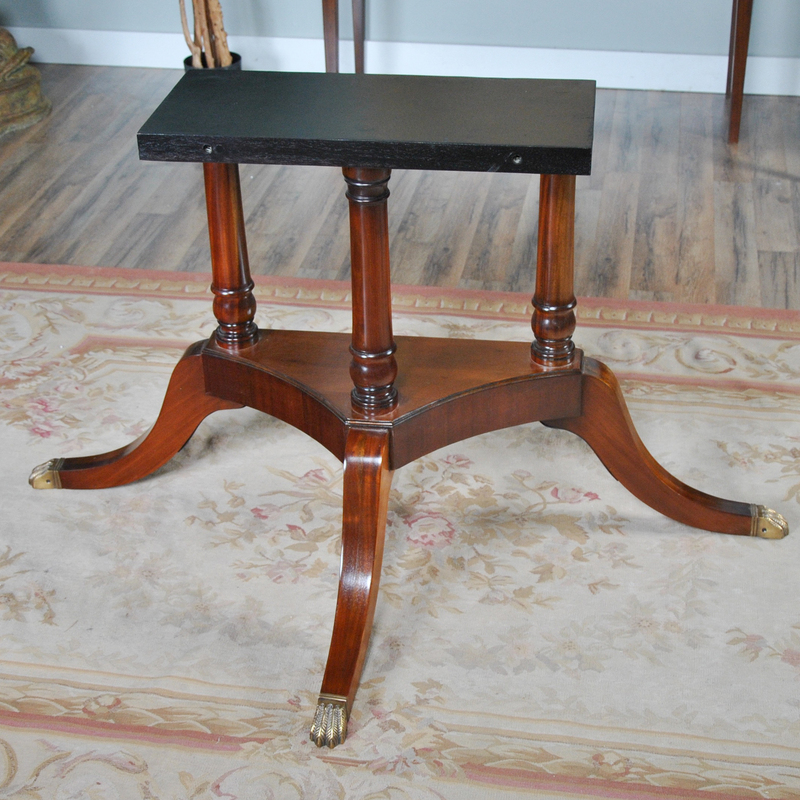 All of this is supported on two pedestals which bolt securely to the bottom of the table top. 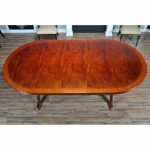 A versatile dining table of high quality that can be used for smaller intimate dining parties without the leaves but large enough with the leaves in place for entertaining on a grand scale.